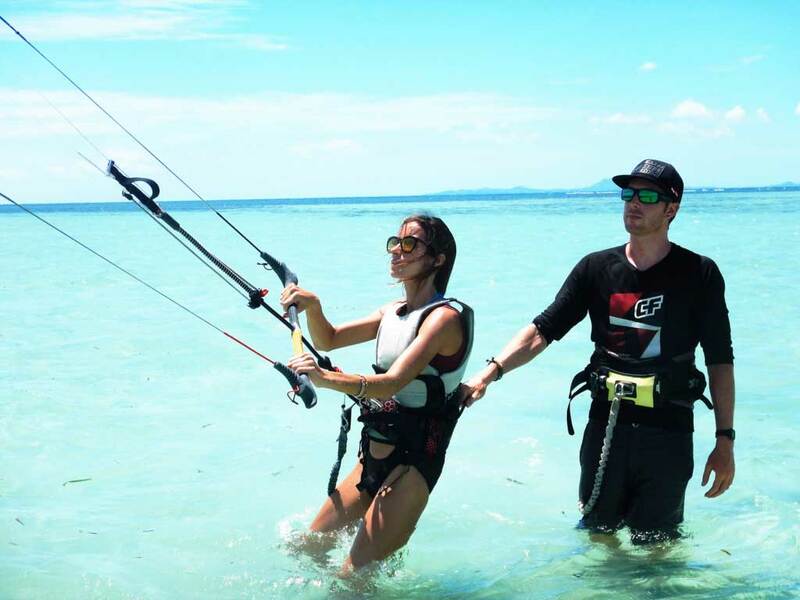 Learn kitesurfing in one of the best spots in Thailand with a professional kite instructor who will get you up on the board in no time. 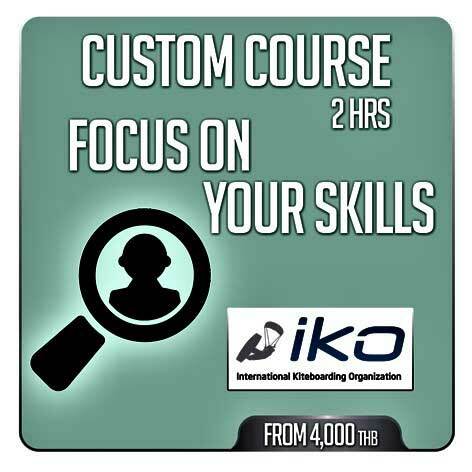 After you complete the beginner course we will provide you with a IKO certification card that is recognized worldwide. 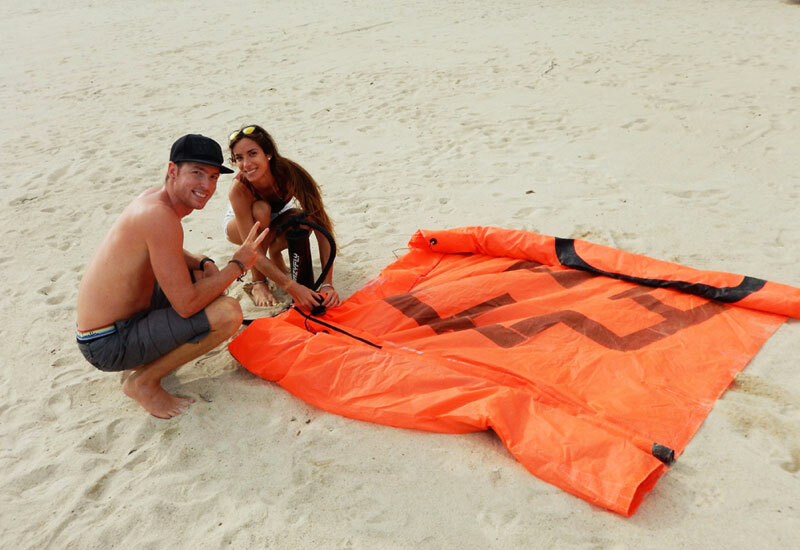 This will allow you to rent equipment in kitesurf schools all around the world. 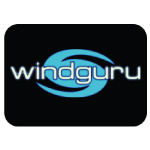 The certification card we give you also shows the level you have reached so when you would like to have another kitesurf lesson with another school in the future they can see exactly where to to start. Everybody can learn how to kite, young or old, fit or not. It is more of a technical sport so you don’t need a lot of strength. 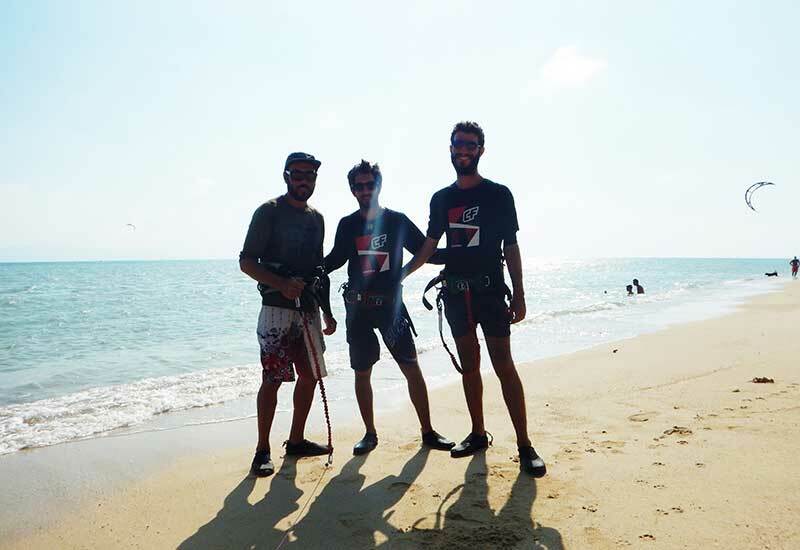 The only requirement we have is that you are able to swim to take part in our Koh Phangan kitesurf lessons & Course. We are the only school on in Thailand that uses the latest technology in bluetooth radio helmets. These radio helmets are specifically designed for kiteschools and allow the instructor and student to communicate 2-way. This makes a big difference once the student makes his first rides and the distance between the instructor and student becomes too big. Now we can keep advising you in every situation. No wind = full refund! If we can not continue the kitesurf lesson because of the lack of wind you will get a refund for those hours. It will also be possible to go wakeboarding instead. 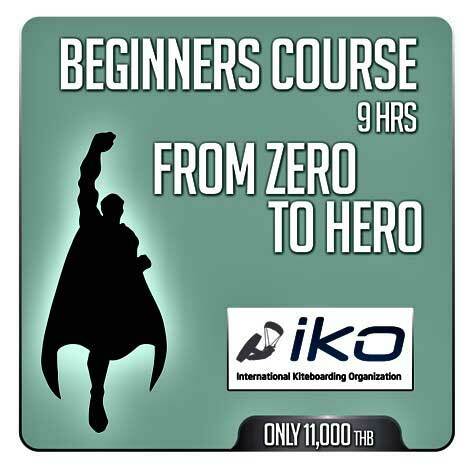 Because the board feeling is very similar to when you kitesurf this will help a lot to improve your skills. We also provide stand-up paddle boards and kayak so even when there is no wind you can still enjoy different activities. 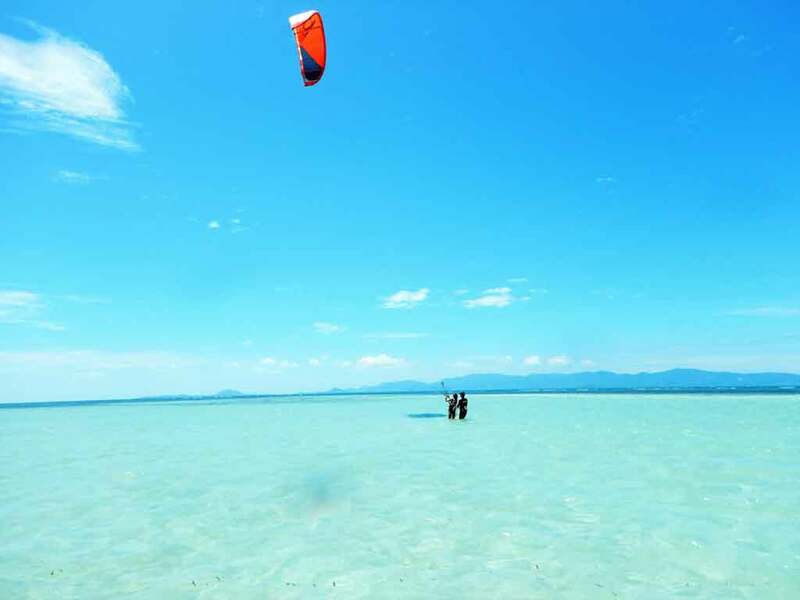 If you want to book a kitesurf lesson before you arrive on Koh Phangan just contact us and let us know the date you will arrive, which lesson you want and for how many people. All payments will happen here at the kiteschool when we meet. What is included in the price? kitesurf lessons, equipment, lycra shirt, IKO certificate and a lot of good times with our kitesurf instructors and staff. 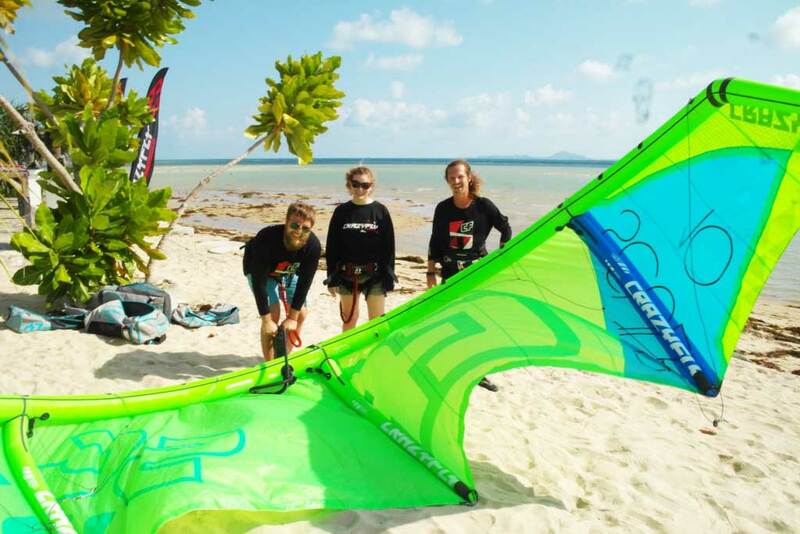 Here below you have the choice of 3 types of Koh Phangan kitesurf lessons. Check out which one is best for you!